Waterfox 2019 free download, With Waterfox 2019 download you can surf the internet like you are using firefox. If you are surfing the web with Mozilla's browser, you will still have to use the 32-bit version, since a stable 64-bit version of Firefox is not available yet. If you do not want to wait until the developers offer an appropriate solution, WaterFox Browser 2019 is the best choice for you. 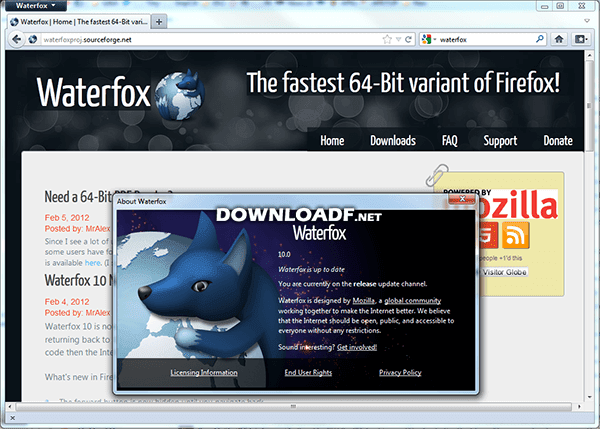 Since there is only an early 64-bit version (not a stable version) of the browser from Mozilla, you can use Waterfox 2019 as an alternative. This can then be used at full speed on 64-bit systems such as Windows 7, Windows 8, Windows 10. The browser is based on the source code of Firefox and according to the developer, its version is explicitly designed for performance, ie speed. This should be noticed not only during the surfing, but also at the start of the browser. It should be faster than the 32-bit version of the Mozilla Firefox and respond faster to input. How well the performance is noticeable depends on the different systems on which the software is used. In order to use the open source version, Visual C ++ 2010 must be installed on the computer. The popular plug-ins such as Adobe Flash, Microsoft Silverlight and Java is available also in the 64-bit version to download. All Firefox structure is found here and its interface is pretty much the same. This allows you to adapt more easily to all the features that the browser brings to you. The Waterfox also brings the "private" mode navigation, allowing you to explore the internet without a trace wherever you go. 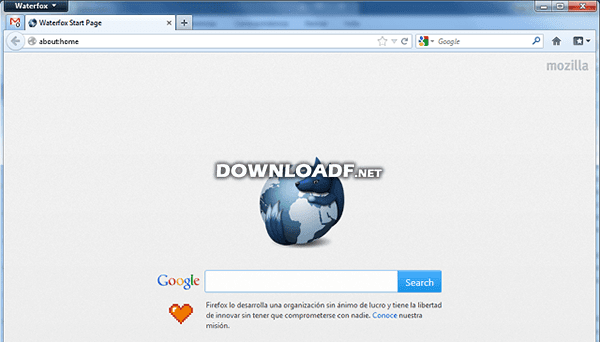 If you enjoy install extensions that facilitate your day to day, this browser also allows them to be applied to it. Most of those for Firefox can also be used here. However, not all add-ons in the Mozilla web store are compatible with Waterfox, which can cause certain operating errors.